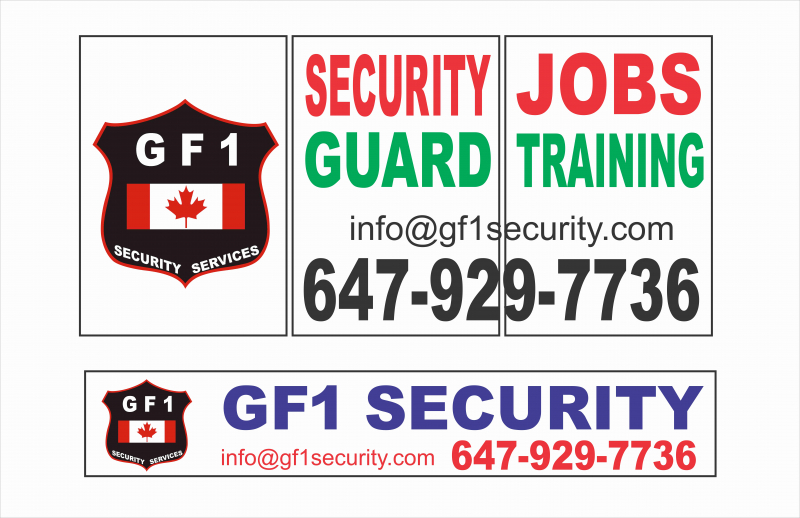 GF1 Security Services Inc has opened a new training centre in Scarborough Ontario. This location is easily accessible by public transit and lots of free parking is available. All of our instructors have in-depth knowledge of the security industry with well over 15 years of experience. Our instructors will provide all students with the requisite skills and information to excel in the security industry. This Scarborough location is well equipped with state of the art equipment to deliver top quality security guard training courses. GF1 Security Services Inc provides all students with free First Aid and Cpr training course. The first aid course is an Emergency First Aid level 'c' along with AED training. The security guard training course can be done in two ways, In-Class or Online. The In-Class course cost is $ 199+Hst= $ 224.87 and Online is $ 175+Hst= $ 197.75. 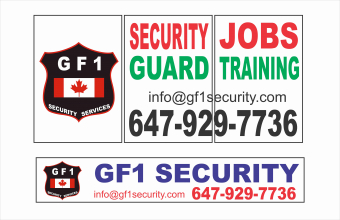 Our quality training is recognized by all the major security companies across the Greater Toronto Area. Full job assistance will be provided to all new graduates with a 100% guarantee, so all can easily find employment in this industry. This Scarborough location is close to all leading colleges and universities, which makes it easy for students to find full time or part-time jobs in the security industry. To be eligible for a security guard license in Ontario you must be 18 years of age or older and you must be eligible to work in Canada and have a clean criminal record.